Publishing design for a supplier of electric vehicle charging stations in Romania, Parkomatic. 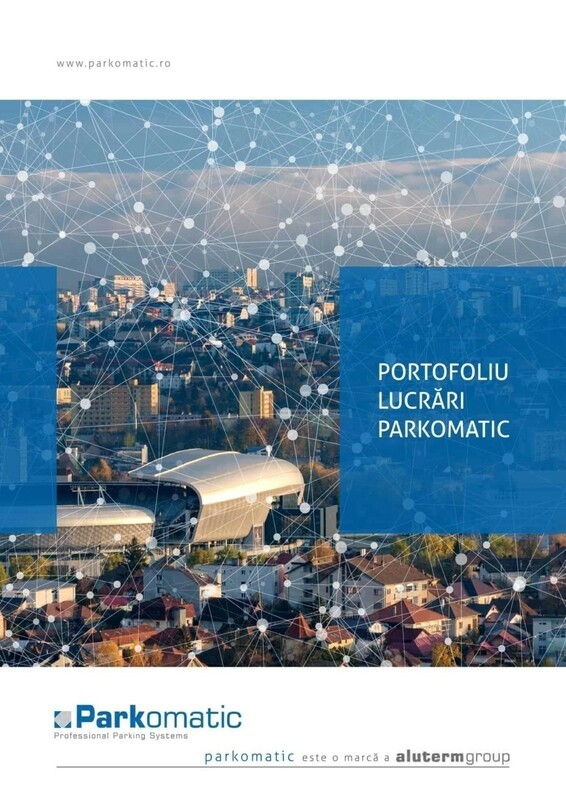 Parkomatic, division of Aluterm Group, is the biggest supplier of parking systems in Romania and one of the main suppliers of electric vehicles charging stations. Parkomatic offers solutions for integrated parking management systems in the context of the accelerated development of large cities that implies increased car flows both in public and office building parking lots. Automatic parking and controlled access systems are required in the organisation of large cities that begin to adopt smart city concept. Toud received the task of creating for Parkomatic a part of the presentation brochures. We enjoy publishing design a lot and are glad to get involved in any project of this kind. 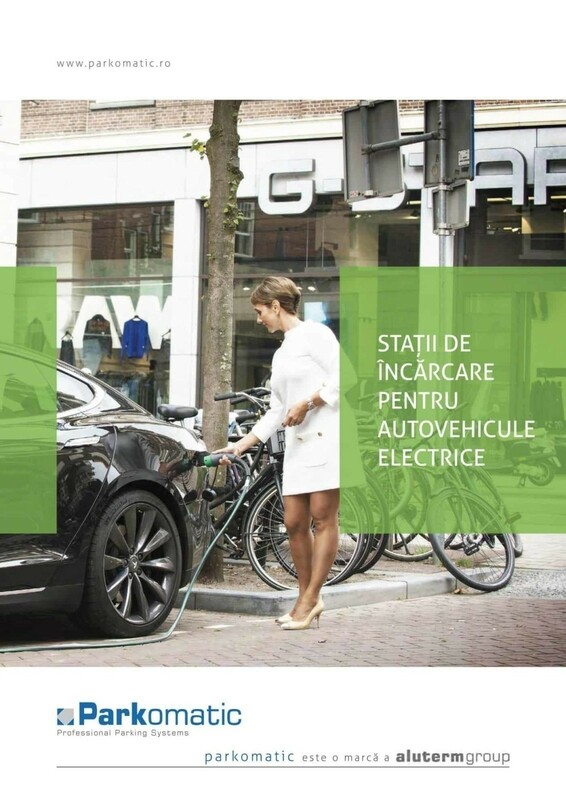 In this article we will present a brochure about the countless works that Parkomatic has made in Romania and one about the charging stations for electric cars. Both brochures follow the Parkomatic brand identity and Aluterm layout. The brochures were made both for printing and online. In order to have a easy to read message, we tried to bring an equilibrium between text and visual part, represented by images and graphs. We used very suggestive photos in order to highlight the works made by Parkomatic and symbols for key elements. By design we tried to express the brand personality. For example, we used for electric charging stations, besides the blue color of the brand, green color to suggest the idea of nature, of protection of the environment. The information is set in an optimized way by using large titles, many subtitles and tables. By inserting numbers written in large fonts, we wanted to express the role that Parkomatic has as supplier of electric charging stations and parking systems. This is the brochure where we gathered the works made by Parkomatic in Romania. It is a comprehensive brochure where we presented the solutions for automatic parking systems that Parkomatic implemented in public, private and office buildings parking lots all over the country. 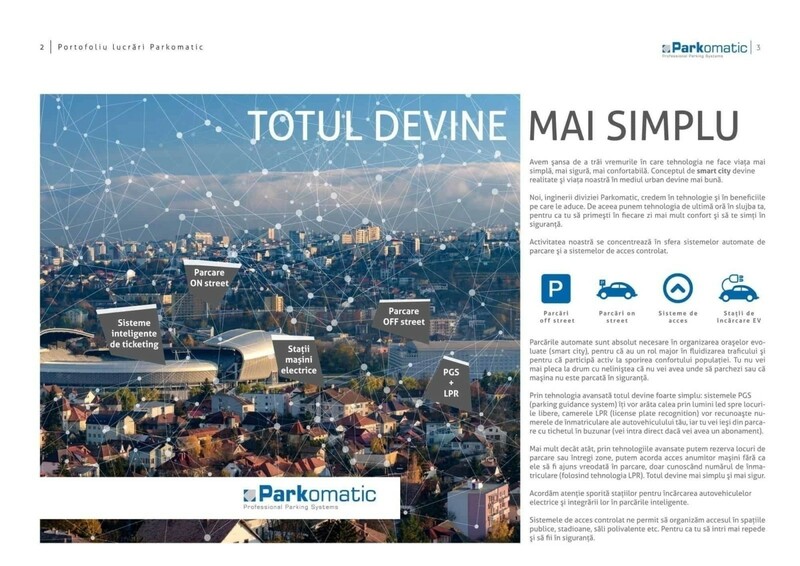 For this brochure we used may symbols, as well as representative images in order to highlight the role that Parkomatic has in the solutions of streamlining the flow of cars in parking lots. 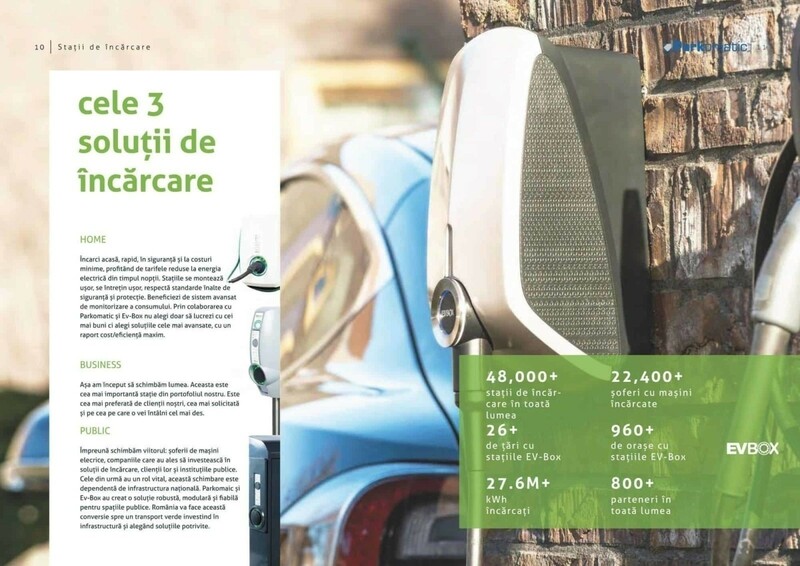 Based on a combination of blue (brand color) and green (care for nature), the brochure about electric vehicle charging stations highlights the three solutions that Parkomatic brings on the Romanian market: home, business and public. We talked about the advantages of electric vehicle charging stations and about the projects that Parkomatic has developed. In this case the text and numbers had and important role as well. The visual part came as a complement of the message. We followed the idea of balance, simplicity, making the message clear. Find out more about Toud services in terms of brochures by accessing the link below and navigating into the dedicated page.